MHF’s member of the month for March is Rose Cianciotto! Rose is a 43 year-old caregiver, lives in Florida, and gets her stunning look from her Italian and Greek roots. Her favourite band is Metallica, and her favourite track is Ride the Lightning. 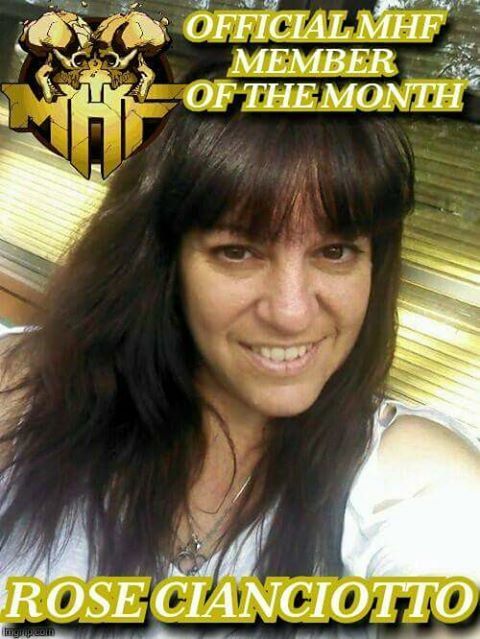 Rose has proven her worth as member of the month, by being very active and showing great dedication to Metalheads Forever. Congratulations, Rose! You fully deserve the title!